BUDAPEST (10 January 2017) – Prologis, Inc., the global leader in logistics real estate, announced that Prologis European Properties Fund II (PEPFII) has acquired M0 Central Business Park in Hungary from IDI Gazeley. 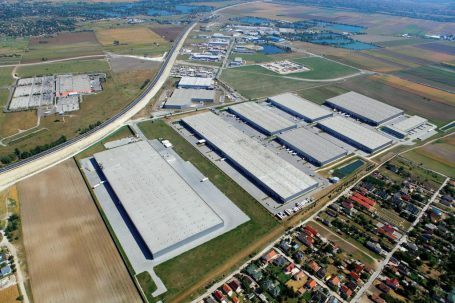 Two newly acquired, 100 percent let, facilities totalling 31,443 square metres will become part of the adjoining 98-percent let Prologis Park Budapest-Sziget, which currently comprises seven buildings totalling 150,000 square metres. The park is southeast of Budapest in the sought after industrial zone of Szigetszentmiklós, which has direct access to national and international road networks via the M0 ring road. Customers of newly acquired facilities include Easi Uplifts, FM Logistics, Quality Logistics Management, United Performance Metals CEE and UTi Hungary. Prologis is the leading provider of distribution facilities in Hungary with more than 640,000 square metres of logistics space in nine industrial parks (as of 30 September 2016).